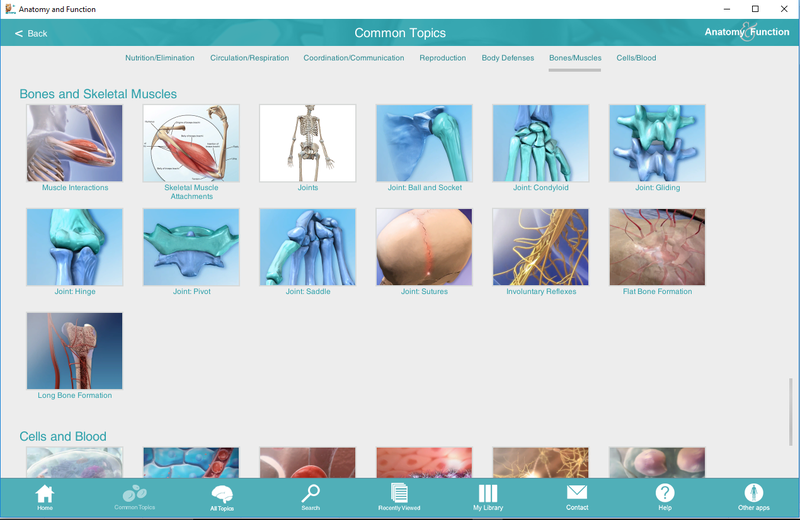 Anatomy & Function offers 500 interactive presentations that review anatomy and basic human body functions. 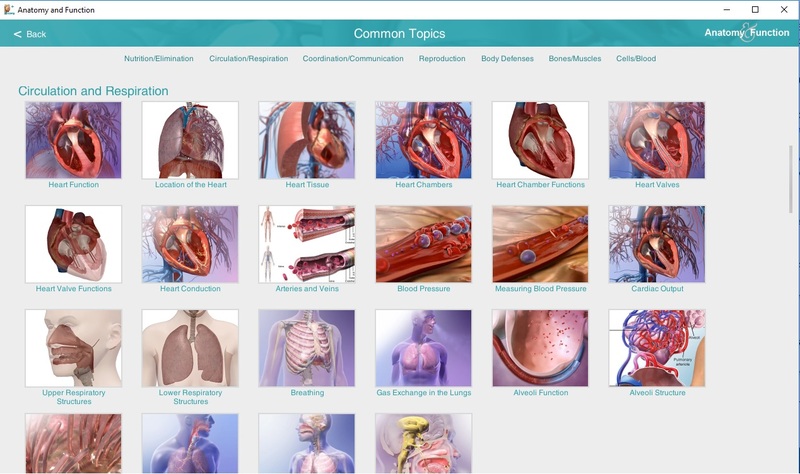 Use the 70+ animations, 77 illustrations, and 3D models to review for yourself, or communicate anatomy and physiological processes with patients or peers. Rotate, zoom into, and dissect 3D models. Includes medical dictionary with audio pronunciations and definitions for thousands of anatomical structures. Content is organized by common functions and by body systems. Enhanced with multiple search functions: browse by body system, function, related views, or search. Create your own list of customized and favorite visuals. This app is ideal for any healthcare consumer interested in understanding facts about their bodies—and their health. Draw, add labels, and add text to the images on screen. Save these to the app’s library or share over email. Whether speaking with a patient learning to manage a chronic condition, understanding a diagnosis or a treatment, or communicating a concept when the caregiver’s and patient’s native languages are different, Anatomy & Function facilitates point-of-service conversations.